Just because the Golden Hour is over doesn’t mean it’s ok to pack up your equipment and go grab a slice of pizza. Yes the hour before sunset can give you beautiful light, everybody knows that. But stick it out for a little longer, the glow in the sky combined with the last ambient light of the day can match up to give some wonderful light. This is also when those fast lenses that are so expensive start to pay off. That faster aperture allows faster shutter speeds and also captures more of the light spilling from various sources that cannot be planned on, they just happen. Also remember to watch your ISO so that you get just that right combination of image quality but not to much grain. The auto ISO setting can be vary helpful. These showers are always placed just between the beach and the parking areas so they are usually good areas to try at the end of the day. This particular beach has two sets of showers located a short distance from each other so I was walking back and forth and shooting based on the number of people and by the rapidly changing lighting conditions. I find people cleaning their hair and feet make the best images. There seems to be an ongoing discussion in all forums about using UV filters on lenses. Some say why degrade that expensive lens with a filter and others say protect that expensive lens with a filter. No matter what your preference on the issue is I recommend always using a protection filter at the beach. Salt water spray is very corrosive to camera lenses and bodies so I see no reason to take chances. Even if your not right at the waters edge that spray can go a long way if the wind is blowing. I remember a camera repairman showing me a camera that was not functional because of one grain of sand. It was hard to believe but it was literally one grain of sand. Remember, bad light can be good light. I came across any interesting magazine called Magazine B. It is published in South Korea by Kakao IX Corp. The magazine looks into brands that are successful that have cult followings. Issues have covered Porsche, Rolex, Muji, Moleskine, Google and Audi among many others. The Magazine B issue dedicated to Leica was the 34th issue. 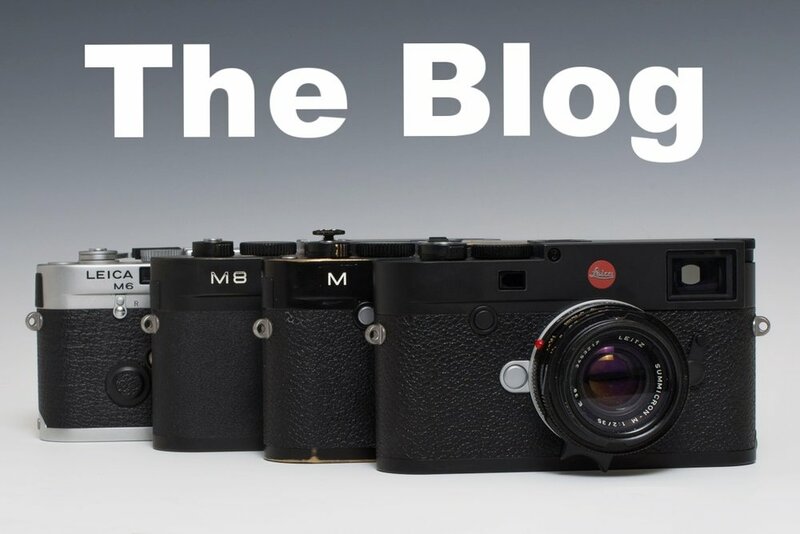 There is a brief history of Leica, interviews with Leica users and dealers. A look at Leica’s product lineup and how they fit into today’s marketplace. How Leica fits into today’s culture with opinions on the brand. There are plenty of product photos of the current products and some of the iconic products from the past as well as shots of users in action and samples of their work. This magazine is aimed at 2 markets. Those who are Leica nerds who love everything about the brand and for those who know little or nothing about Leica but enjoy learning about the best stuff that is available. I fall into both categories so I really enjoyed this magazine. I plan on picking up some more issues. The project was to find a small bag to carry a camera and a couple lenses that is small, light weight, and doesn’t look like a camera bag. There are many bags that fit this description but after a thorough search I landed on the Everyday Sling 5L by Peak Design. 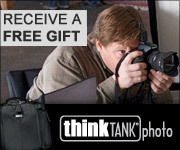 I already use their Field Pouch which I really like but is too small to carry a camera. I’m going to keep using the pouch because sometimes I like to travel ultralight and fill it with accessories and just carry the camera around my wrist. I still have my Ona Prince Street in leather that I still love. 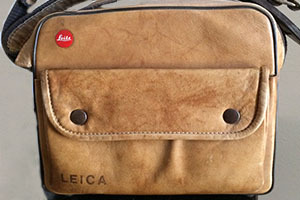 It is my put all of my Leica equipment in it bag. It’s very useful when traveling. It’s a great looking bag. But it is over 3 pounds when empty and after a long day that gets to be too much for my aching shoulder. So I use the Ona to travel between locations and then transfer the needed equipment to my day bag. As the name states the Everyday Sling 5L is a sling bag designed to hang across your back and you slide it to the front to remove equipment. Sometimes I wear it so that the bag hangs across my chest and work with it this way. I like how the main compartment opens toward the user instead of away from. This makes for easier changing of lenses because this creates a shelf close to your body. I feel more secure this way and there is less fear that I might drop a lens. Also when in crowds it is nice to have the bag in front because it is more secure this way. Speaking of security the main zipper has a nice little loop that attaches to the bag to keep the zipper closed and protected from pickpockets. The front has a small pocket for keys and a cell phone. The top has a thin leather carry strap that at first seems to small but after use I will admit it is the right size, not to small and not to big. It’s size helps keep the bag design narrow. The shoulder strap is attached to the bag with a large metal grommet that attaches to the nylon material of the bag and also to a piece of nylon attached to the bag so it is very durable. The shoulder strap is long and easily adjustable to fit all body styles. There is a small tab on the strap for quick adjustments to the length to get the perfect fit. The strap can be used as a sling across the body or wrapped around the waist in fanny pack style. The back of the bag has a pouch that the strap can be tucked away when not needed. The shoulder strap is permanently attached to the bag. The inside of the bag has 2 dividers for various configurations. I recently carried a M240 with 28mm, a M10 with a 50mm and my 35mm. There was also room for my Visoflex. It’s surprising how much goes into the bag. It helps that Leica equipment is so small. There are 2 pockets on the inside. The front pocket is for batteries and flash cards. On the back side is a narrow pocket that is the length of the bag and is designed for a tablet. I have my 9.7” iPad Pro in there. I also have various other gadgets and my neutral density filters loose in the bag. I have a rotation of 3 bags that I carry my Leica’s in based on how much stuff I feel like carrying each day. The Peak Design Everyday Sling 5L has been getting the most use for about the last 4 months and I am very pleased with this bag. The best feature is how light it is compared to other bags. When I have my camera in my hands it’s easy to forget I even have the bag across my back. UPDATE to Peak Design products here. So, you’ve decided to give street photography a try but what do you photograph. Just wandering around and hoping something will catch your eye never seems to bear fruit. And being focused on some image that you just say on Instagram is no way to do it either. When your focused on one idea you might be walking past lots of good shots that you just don’t notice. The idea of a shot list isn’t just for street photography. It’s used a lot in wedding photography. When I was shooting documentary work I always made myself a list of key shots that I wanted and would then explore for other images based on those ideas. Fashion photographers have look books that guide their work for wardrobe and makeup. It’s not that you want to check off each shot and then quit. It should be used kind of as an outline. Artist Richard Serra famously did the same thing with his “Verb List”. He used his list as a starting point for creating his art. My shot list changes from time to time. Here is one that I found in my notes while I was pursuing my photography degree. Remember they can be used individually or combined. So that’s 15 ideas to get you going. You can also take just one idea and use it as a photography assignment. How many images can you get using a theme in 3 months. So print this list or make your own and take it with you when shooting. Ralph Gibson has written an autobiography, Self-Exposure, and I couldn’t be happier. I have been a fan of his work for over 35 years so when I found this title on Amazon a few months ago it went straight to pre-order. I received my copy on November 20, the day of release, and read it the same day. Ralph Gibson has been a photographer since the early sixties after a brief stint in the Navy. Early on he started on the road to be a Magnum member but wisely chose not to go the route of a journalist and started a career as a fine-art photographer. His first book “The Somnambulist “ was a great hit and he was on his way. Not only is he a great artist but he has been a successful and influential book publisher as well. Self-Exposure tells his life story in a candid way. He goes into detail about his early years and reveals a mixture of good times and a fare amount of sad episodes. Once out of the early years the book travels through his life touching on the living of an artists life. If a man is judged by his friends than Ralph must be a remarable person. 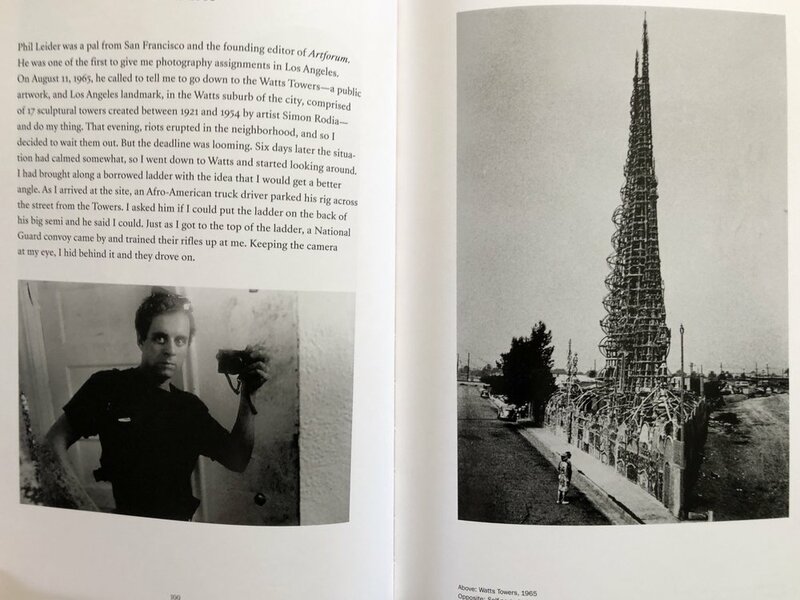 Over half of the book is dedicated to talking about the people that have been in his life. Since Ralph has spent so much of his life running workshops and mentoring photographers it is only natural that there are many chapters about the technique of photography. Except for when he talks about the early years most of the chapters are quite brief. From a few pages to just a few paragraphs. 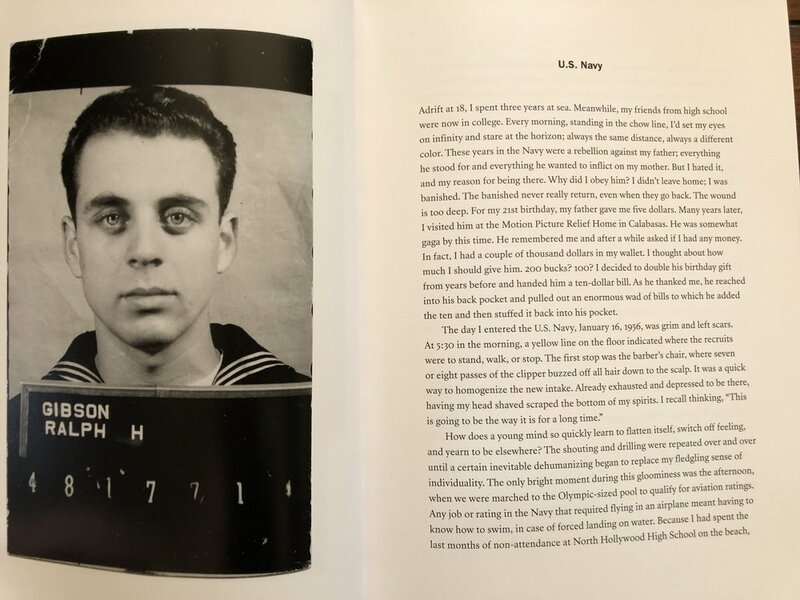 Another thing that is unique about the book is there are a lot of photographs. That is to be expected from a photographers biography but they are scattered every few pages in the book. Not just a few in the middle. If you are new to the work of Ralph Gibson you will have a real sense of the man after reading this book. I thoroughly enjoyed the read. The second book that I’m reviewing here really is a companion to his biography. 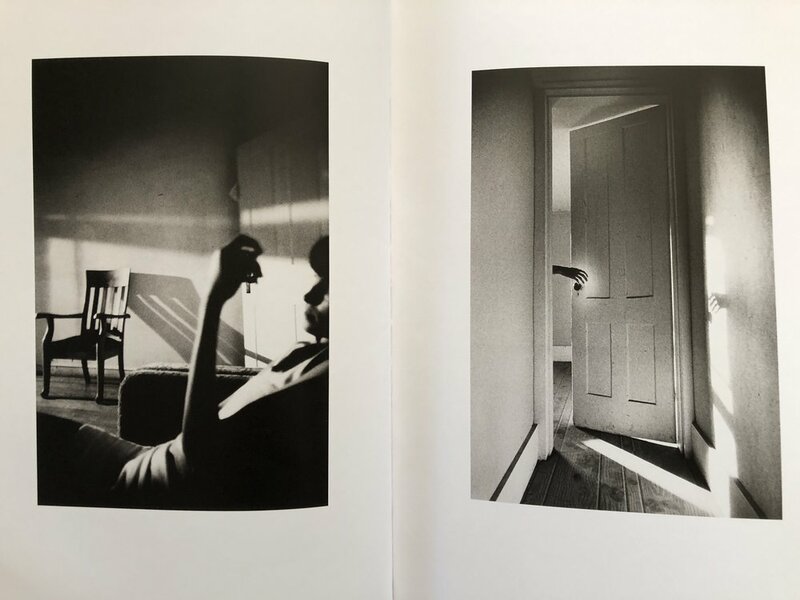 The Black Trilogy is a reissue of the early work of Ralph Gibson. It includes the work of three of his most influential books. They were, The Somnambulist, Deja-Vu, and Days at Sea. Ralph has shot with Leica’s since he started to get serious about his work and these images are prototypical Leica work. This is what you strive for your work to look like when a Leica camera is held in the hand. The images are not just beautiful to look at but a whole photography program could be built around the study of these images. The compositions are just so strong. The way that he moves close to his subjects and frames so precisely really shows a master at work. Just study how he selects his vantage point for an image. Just a little higher or lower, and the image would not be as strong. His use of framing devices is so clever and sophisticated. He also shoots often in the vertical format. Why don’t we take more verticals? He has said that 75% of the images in the first book came to him on just one weekend of shooting. That is amazing. But just as amazing is that he has also stated that it took him 3 more years to get the last 12 images for the book. One thing I do to judge the strength of images is to look through a book upside down. I learned this from many years of working with large format cameras where the image is projected on the ground glass upside down. You really see if the composition works this way. The images in The Black Trilogy pass the test with flying colors. His compositions are just so strong. The book is a master class in composition. Another aspect of his work is the way that he uses the film grain as an element of expression. The grain adds so much to the images. In today’s digital world with all of the sterile images that today’s cameras produce, his use of grain is almost shocking. The use of grain is also one of the signatures of his style. Another thing that makes his books so good is that he is so good at sequencing his images. He just takes this to another level. Not only are the images strong, but they work together to tell a story. Open his books anywhere and compare the image to the previous image, then compare it to the next, then the next. The flow is so seamless. He makes his images combine to make an even stronger experience than just looking at single images on the wall. The books themselves are works of art. Above you see 2 solutions to a problem. Interesting subjects with great lighting, expressions, and movement that make a great photo. Which photo did you take? The bottom photo is what most everybody takes. It has everything that makes an interesting image. Contrasting hair colors. They both have their hair bundled up but with different styles. One has a solid color sweater, the other has a pattern. The both even have about the same amount of stray hair. The red hair matches her sweater. The background glow matches her hair. The other has white hair to contrast with the dark sweater. This photo is the one that most people take because of these reasons and because it is easier. To put it simply, your not going to get noticed taking the image and that is very important for most photographers. Being noticed taking a photo and the possibility of being confronted is to much for most people. It is an interesting image, but with just a little work it can be so much better. Compare the top image to the bottom image. It is so much better because of one aspect of the image. We can see their faces and can see that they are deeply interested in something. The fact that the redhead is motioning to what they are looking at. The way that they are leaning into what they are looking at. I love how the redhead is holding the glasses in her other hand is such a wonderful detail. That they are wearing similar glasses is another great detail. The fabric in the lower left of the image mirrors the pattern on the redheads sweater. The straight white lines on the black sweater contrast with the “V’s” on the other sweater. The image really comes together. The image with the faces was taken first and I went around to see what the back looked like and immediately took the second image. I knew right away this was a teachable moment for my blog. For the image from the front I used the live view function of my Leica M10. First that got me to eye level. I didn’t want to shoot down and get the tops of their heads. It was also important for me to get the expression on their faces, that is so important in images of people. If I had squatted down in front of the I would have drawn a lot of attention to myself and I know the ladies would have stopped what they were doing and looked at me. My first rule in street shooting is not to interrupt people’s lives. My photos are not so important that I can do whatever I want to get a photo. But at the same time, if you need to, be brave when taking your photos. Sometimes you’ve got to take a chance when shooting. Sometimes it works, sometimes it doesn’t. But I just don’t like photos of the backs of people’s heads. And I see a lot of those photos on Instagram. Look for the special moments and little details that make an image special. Good Luck. One of the most popular and creative photographers in America is Sally Mann and the Getty Center in Los Angeles now has a show of her work. It is called “ Sally Mann, A Thousand Crossings “ and it is showing from November 16, 2018 until February 10, 2019. I have been a fan of Sally’s work since the book titled “Immediate Family” in the 1980’s. Some of the images from that work caused quite an uproar across the country because of the unclothed images of her children. They were beautiful and thought provoking, but some people couldn’t handle the subject matter. Times have changed and lots of people are now attending the show with these very images. Sally has a lot to say in her images. She has a complicated relationship with the south where she has lived all of her life. She delves deeply into its racist past and the relationship that black people have to her family and with American. She also tackles the history of the south with images of the battlefields of the Civil War. One image that I found powerful was the spot in the riverbank where the body of Emmett Till was found. Many of her images are dark and foreboding. They are quite beautiful. Sally shoots with large format cameras using various techniques such as wet collodion, tintypes, and the use of ortho film. Today many photographers are rejecting digital and shooting film and people fawn over the work because it is not digital but they just don’t have much to say beyond technique. They should really study the work of Sally Mann, it is art of the highest caliber. The Leica Q has been the biggest surprise to come out of Wetzlar in recent years. It has been more successful than everyone thought it would be and that includes the Leica faithful. A Leica with a fixed 28mm lens just seems like it has a lot going against it. I was one of the people that when it was introduced was a bit skeptical but I changed my mind when I had the opportunity to demo the camera. It has a great, solid feel, with an excellent lens. As everyone likes to say, you are buying the lens and getting the body for free. If you price a 28mm Summicron that is true. It really is an excellent lens. It is probably not a popular thing to say but in some circumstances the electronic viewfinder is more useful than an optical viewfinder. As far as the Leica Q-P goes this one line from the Leica website sums It up. Really can’t write much of a review based on that. The real difference is the removal of the red dot from the front of the camera and the Leica script added to the top of the camera. Yes the red dot which for a subsection of the potential customers is the main reason to by the camera. The rope strap that comes with the standard model has been replaced with a brown leather strap. Also an extra battery is thrown in to sweeten the deal. Guess only time will tell if the camera sells in any quantity but I suspect that enough will sell for Leica to justify the special edition. Being a photographer can be a lonely occupation. Some specialists do work as a member of a team. Fashion photographers have hair and makeup stylists. Product photographers sometimes employ assistants or other specialists like set builders or sound and video editors. But most of the time it is a solitary profession. Among amateurs it is even lonelier still. Usually the only place to discuss photography is in the forums and this can be an iffy proposition because of the wide range of expertise and the common inflation of ones true abilities. I tend to do most of my shooting in Southern California and since I use my Leica’s for street shooting I seem to get a lot of interaction with other photographers. When I shoot with other brands over the years most people don’t say much to me but people quite often comment when the recognize that I am shooting with a Leica. It is usually just a knowing look or smile. Occasionally I get questions about my setup. The most common question is what lens am I using. A lot of people ask how long I’ve being using Leica. Most are surprised at how long I’ve been using them. Many people still associate Leica’s with film. Some are surprised that I’m using digital and not film ( yes I do occasionally still shoot film ). But the one thing that really sticks with me is how friendly most people are when we both are shooting Leica cameras. It’s kinda like when car enthusiasts get together. Porsche club members come to mind. In this age when most people don’t even know their own neighbors, Leica people seem to love talking to other Leica people. They want to know where you bought your camera. How often do you use it. Soon it becomes story time about meeting other users. Where the camera has been. I’ve always found that one interesting, it’s not where they have been, it is where the camera has been. This just isn’t behavior that I have had with other products. There is a lot of pride in owning a Leica camera that is just not there with other cameras. It is kind of like the APPLE community but it seems to be more special because there are a lot less Leica users. Looking back it seems Leica ownership seems to surge and wane. I remember lots of people carrying Leica’s after the introduction of the M6 in the mid 80’s. There were lots of M and R cameras to be seen. Then in the late 90’s to the mid 2000’s it was rare to see any red dots. Since 2009 and the introduction of the M9, I have noticed a big jump in Leica ownership. Owners today seem to be more interested in the future of Leica. Owners in the 20th century seemed prouder of owning a Leica because of the history of the company. Even though the entry into the Leica world is quite a substantial investment no matter what camera you buy, I don’t think it is just a money thing that brings the owners together. I think it is because so many people are being their cameras in the Leica company stores. I feel that this is what is building the sense of community. You are treated differently in the company store as opposed to buying online. It feels like you are buying from a family business. The sales force is low pressure but professional. The history of the company is always alluded too. The stores are always having talks by photographers and the galleries that are incorporated into the stores are encouraging photographers to get together and have discussions and meet new people who are often Leica owners. I don’t know if the current Leica strategy is to purposely to build a community for their users but that seems to be the result of their actions. And that is a good thing for photography. And as a long time Leica user it makes me feel good that more people are feeling the joy of using a Leica camera that I feel. A common question that I get asked is how did I get my start in photography. This was one of the few times in my life that I had a plan and things worked out just the way that I dreamt that they would. Some photographers are self taught but I would not have had the career that I’ve had if I hadn’t attended a photography program. Both positions that I accepted the main requirement was the requirement of a photography degree. I have mixed emotions if a formal degree is required these days but one was critical for my career. I was hired as an industrial photographer not long after receiving my photography degree. I chose to get a degree in Industrial Photography because I thought it might be a more stable career working for someone else instead of getting a degree in Commercial Photography and probably end up working for myself. At school the majors were similar but The Industrial major required work in video as well as still photography. Today I’m glad I received that video training because lots of jobs require stills and video for each job. My first day on the job I started on the company’s annual product catalog. All of it was shot on large format Sinar cameras which ment 4x5 and 8x10 color and black and white shots of everything. The shot list was in the hundreds. I learned quickly that there was a big difference between being an amateur and a professional. I miss shooting large format cameras. There is something kind of Zen about them. I had already been shooting Leica’s in school so I really appreciated the quality of the Sinar cameras. I wish I had one these days. I still remember everything about them. I could teach a class on them but I don’t think there is much demand for them these days. Being thrown into the fire on my very first day of work was eye opening and I learned so much in a very short time. I was pretty experienced working with large format but photographing for a paycheck is a lot different than just walking around and shooting for fun. It really takes a different mindset. The Leica 50mm Summilux-M 1.4 ASPH is my vote for the best standard lens for the Leica M system. You really can't go wrong when choosing a Leica 50mm lens. They are all great choices. The Leica 50mm Noctilux-M 0.95 ASPH when shot wide open gives an image that is like no other from Leica or from any other company. The Leica 50mm Summicron-M 2.0 ASPH is arguably the most famous lens ever made. It is the standard by which all other lenses are compared. The Leica 50mm Summarit-M 2.4 is the least expensive of Leica's 50mm offerings and it is a good value the is often unjustifiably overlooked. In this review I am going to talk about what makes the 50mm Summilux so great. The Leica 50mm Summilux-M 1.4 ASPH was introduced in August 2004 and was designed by Peter Karbe. It replaced the 50mm Summilux 1.4 that was released in 1959 and holds the record for the longest production span in Leica history. It was slightly recomputed in about 1962 for better performance. A lot has changed in the 40 years between models. Today's version is near the pinnacle of quality that can be achieved in lens construction. The only lens that can surpass this lens is Leica's own 50mm Summicron-M 2.0 APO. It is a league of its own with a price to match. The Leica 50mm Summilux-M 1.4 ASPH actually surpasses the 50mm Summicron which is quite an achievement. Usually faster lenses suffer slightly when compared to their slower counterparts but not so with the Summilux. When designing higher speed lenses the challenge is to keep lens corrections in control at wider apertures. Every stop faster increases lens aberrations and it gets harder and more complex to correct for these aberrations. It is also difficult to keep the lens small when increasing the maximum aperture. When compared to the previous design the lens is sharper in the middle as well on the edges of the frame. The use of aspherical glass has solved the problem of aberration correction as well as keeping the lens compact. The lens is usable when shot wide open. Actually the lens is quite sharp and stopping down is mostly for increasing the depth of field. The addition of floating elements in this design make the lens much sharper than the Summicron at closer focusing distances. The Leica 50mm Summilux-M 1.4 ASPH is a little bigger and heavier than the Summicron 50mm but it is a small price to pay for the increased optical performance. Color reproduction is beautiful and contrast is excellent. Distortion is 0.4 percent and wide open vignetting is 2.16 and reduces to 0.55 stops at f/5.6 which is exceptionally good for a 50mm lens. The Leica 50mm Summilux-M 1.4 ASPH has eight elements in five groups and it has a Floating Element for close-up focusing. The first three elements are in front of the aperture blades and the remaining five elements are behind the blades. They are designed is similar to the 35mm Summilux-M 1.4 ASPH that was designed in 1994. The second and third elements from the front are designed to correct for chromatic aberrations. The fourth element is aspherical glass. Three of the elements are of highly refractive glass to correct for monochromatic errors. Much of what Leica learned from the development process for the 35mm Summilux-M 1.4 ASPH was used in the development of the 50mm. Like the other 50mm lenses that Leica makes it stops down to f/16. It has a built-in lens hood that you turn to lock and unlock and slides easily to extend into position or to slide back into place for storage. Close focus is the standard 0.7 meters and has a filter diameter of 46mm. It was 335g as compared to 240g for the Leica 50mm Summicron-M 2.0 and has a 39mm filter diameter. In use you will notice that the 50mm Summilux feels a little stiffer when focusing. This is because of the rear floating elements. I also find that I favor lenses with built in lens hoods. Even though modern lenses are very resistant to flare I prefer to always use a lens hood to get the best quality out of my lenses. The Summilux reproduces finer detail than the excellent Summicron with more contrast and a more delicate design balance equaling the f2.0 Summicron at f1.4 on the Summilux. The only time I recommenced stopping down with the Summilux is when focusing close. The floating element helps sharpen the image but stopping down is recommended. Bokeh is gorgeous and smooth. The transition of sharp to smooth is very soft. The only complaint ever heard about the Summilux is that the image can be too sterile, that it doesn't have the Leica glow. That may be true but this is a matter of personal preference, not an indication of an undesirable lens. I personally prefer the newer designs for digital and I still shoot the older lenses with my film cameras so to each his/her own. By the way that glow is a very slight spherical aberration. Each Leica 50mm has its strengths and weakness's but if you want the best overall 50mm I would say that based on price vs performance the 50mm Summilux-M 1.4 ASPH is the winner. I have owned or used most of the 50’s and the Summilux has been my go to lens for a long time. Leica is updating the way that we transfer photos to our mobile devices. The new app is called the FOTOS app which will replace the Wlan app that has been available. Functionality is very similar to the previous version. You still connect by WiFi but now the password for your camera is saved in the app. Also Android users will be able to transfer photos. The program also works with more cameras, not a dedicated program for each camera as before. Now you can transfer from a S, SL, M, Q, Tl, CL, D-LUX, and V-LUX from one app and all photos are kept in one place in your Leica FOTOS app. Then you can work on the images in the Lightroom Mobile or your other app of choice. I love the way that the app connects with the camera via a QR code that is scanned in the FOTOS app. Very slick. You can set what quality the files are downloaded as, jpg or dng as well as jpg quality, white balance and metering setting. When in the file viewer you can select single or multiple images. The camera can be controlled remotely with the app and the ISO, shutter speed, and EV can be set from the app.